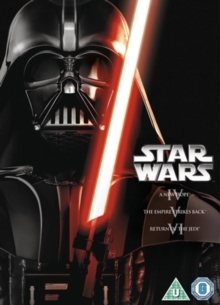 The first three Star Wars films reworked as creator George Lucas intended. Using state-of-the-art technology, Lucas and his team cleaned up the prints, updated the special effects and added new footage. 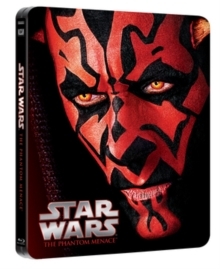 Originally released before 'Episode I - The Phantom Menace' (1999) the films have been renamed to fit in with Lucas's original vision. 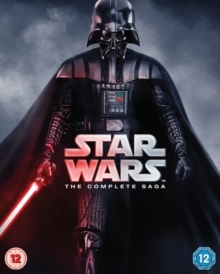 The story follows the adventures of a band of fearless rebels who try to take on the might of the awesome Empire, led by the evil Emperor and Dark Lord of the Sith, Darth Vader (Dave Prowse). Throughout their quest, Luke Skywalker (Mark Hamill), Princess Leia (Carrie Fisher), Han Solo (Harrison Ford), Chewbacca (Peter Mayhew), R2-D2 (Kenny Baker) and C-3PO (Anthony Daniels) meet terrifying foes, new allies and bizarre creatures. In 'Star Wars Episode IV - A New Hope' (1977), on discovering a secret hidden inside a droid that his family have bought, young farmhand Luke Skywalker becomes involved in a battle between the forces of light and the evil Empire. Along the way he meets up with a Jedi Knight (Alec Guinness), a roguish space pilot, a beautiful princess and an evil tyrant. In 'Star Wars Episode V - The Empire Strikes Back' (1980), after the destruction of the Death Star, the rebels led by Luke and Leia are on the run from the vengeful Empire. 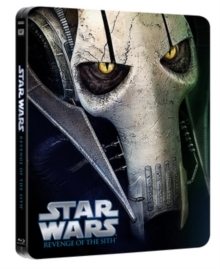 Holed up on an inhospitable ice planet, they are soon discovered and must flee across the galaxy. 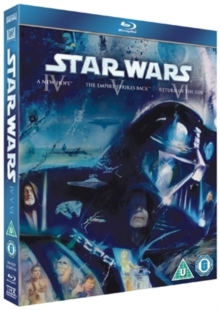 Luke decides to visit an old Jedi Knight while Han and Leia become involved in a game of cat and mouse with Vader and a host of bounty hunters led by Boba Fett (Jeremy Bulloch). In 'Star Wars Episode VI - Return of the Jedi' (1983), with Han being held captive by Jabba the Hutt (voice of Larry Ward), his friends Luke, Leia, Lando (Billy Dee Williams), Chewbacca, R2-D2 and C-3PO plan a rescue mission. Then the intrepid group must make another assault on the new, more powerful Death Star and Luke must face his destiny in the shape of Darth Vader and the Emperor.